"If you want a coach with a love for actors who also offers a director's insight, look no further. Shon's feedback has helped me land role after role. Her positive approach will leave you believing in your talents and ready to land the part." "Thank you, Shon. My actors love you." "I had a coaching session with Shon Wilson online before my audition and OMG she's amazing!!!! I could not have thought of 90% of what she said and the advice and tips were right on point. I can't say enough about her, other than I highly recommend anyone needing a coach, especially those who can't be in person, to reach out to her! I will be going into this audition with a confidence I did not previously have thanks to her!​"
"Shon possesses a combination of high EQ and IQ, which is ideal for dissecting audition sides. She really helped me connect to a character that was entirely out of my wheelhouse. Different race, age and era. I had a tough time with it until Shon helped me find my voice within that character. I'd recommend seeking her help with any sort of complicated writing!" "Shon has an exceptional eye and ear. She’s very good at finding what works and what needs improvement in any scene. "Shon is not only an incredibly talented actor, she also has the ability to look at acting work with the keen eye of a director. She has helped me immensely in preparing for auditions (both for on camera and stage work), and is always ready with in depth acting suggestions as well as quick tips to help a piece become more polished." "As she studied extensively all aspects of acting, Shon knows what she is talking about. She is not just knowledgeable but also confident enough to be open for different interpretations you’d bring to explore together. She is both a wonderful coach and an amazing person." "Shon is an extremely talented director and a pleasure to work with. I had a monologue that I was struggling to take to the next level, and with a few choice notes, Shon helped me crack it wide open. Shon tells you what you need to hear, no frills or excuses, and if you’re willing to do the work, she’ll help you get there." ​“I love how she trains you for the medium that you are auditioning for. She's very knowledgeable and gives you great, honest feedback. She is awesome!!" "Shon always has so many amazing insights on the scenes and monologues I bring her! I end up bringing qualities and choices to my work and characters that I never saw before and Shon helps to bring it all out! She’s a great coach!" Coaching sessions can be done in person or via video chat. Session fees are non-refundable and are required to reserve your desired appointment date and time. Payment can be made via PayPal, Venmo, or your bank's mobile app (for example Zelle). If you have to cancel your appointment you may reschedule or receive a credit for future use. Date and time of your session will depend on availability. Please do not send your non-refundable payment until you have received notification that your desired appointment is available. ​​​*Save 20% by choosing this package deal. Details below. Pay with PayPal, Venmo, or your bank's mobile app. Get hour-long coaching​ ​sessions for $40 each, when you purchase 5 of them at once. Total price at purchase will be $200 for 300 minutes of individualized acting training or audition prep.​ Actors can choose online sessions or in-person sessions​ or a combination of both. ​​This 20% discount will be ​automatically applied to anyone who purchases 5 (or more) sessions at once. 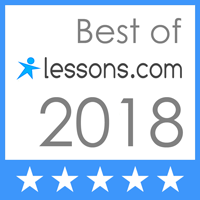 You can ​​use the coaching sessions whenever you need during all of 2019. 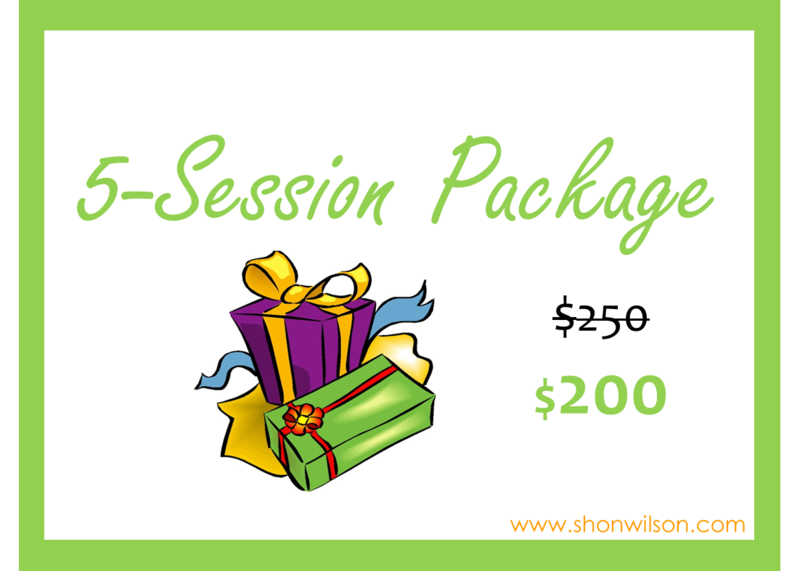 You don't have to select your session dates until you actually need them or you can use them to schedule weekly lessons with Shon. So... buy now, save 20%, get coached throughout the year, BOOK MORE JOBS. It's that simple.